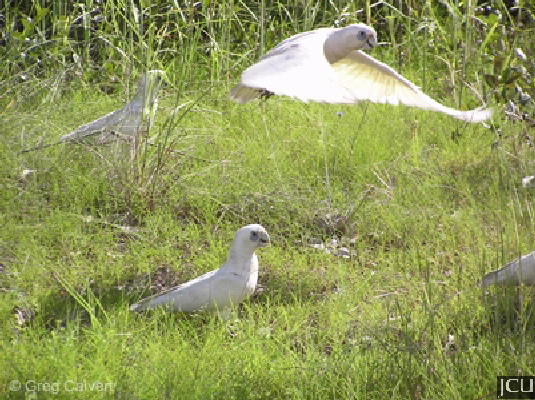 The little corella is predominantly white with yellow on the underwing and under the tail. There is a small white erectile crest on top of the head, eyes brown surrounded by a grey eye-ring, bill is short and white and there is a bare reddish patch between the eye and bill. Legs and feet are grey Flocks are occasionally seen on grassy areas on campus.